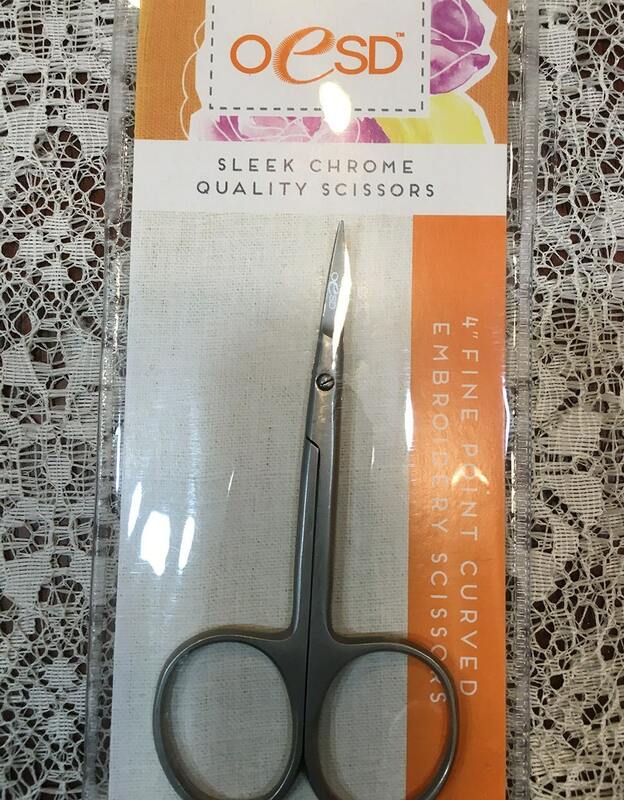 Curved Embroidery Fine Point Curved Tip Stainless Steel Scissors Large Ring 4"
These handcrafted 4" large ring scissors feature fine-point curved tips for detailed cut work. They are perfect for hand-appliqué work and for making extremely precise cuts. The large ring openings allow for comfort and ease of use. Forged from a German grade stainless steel and finished with a sandblasted nickel chrome plating process for durability, these heirloom scissors were constructed to last for generations. I don't know why I put off investing in a good pair of embroidery scissors, but when I nearly cut into my foundation I decided it was high time! So glad I bought these, they are fantastic! And how handy to be able to get so many different supplies I like in one shop, and they always arrive incredibly fast. Thank you thank you!